In my journal, through the use of photos and words, I hope to convey the raw beauty of the Lawther-Deer Park Prairie Preserve. 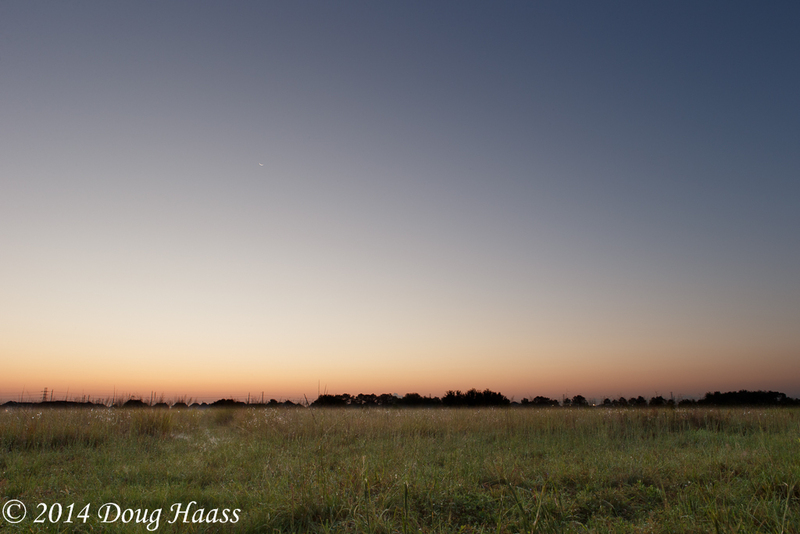 This view of the waning crescent moon, coupled with the colors of twilight across the prairie just before sunrise this morning, was spectacular. While photos and words can help shape that view, there is nothing like standing at this spot, at this time, in person.